SAN FRANCISCO -- When Angelica Coleman, a young African-American woman, walked into the offices of Dropbox Inc. for a job interview in October 2013, one of the first things she noticed was how nobody there looked like her. When she quit this February, one of the last things she was told by her direct manager was that if she wanted to keep climbing the Silicon Valley corporate ladder, “you need to go somewhere else." Last year, Silicon Valley acknowledged it had a diversity problem, and companies like Google Inc., Yahoo Inc., Apple Inc., Facebook Inc. and many others made bold public commitments to fix it through "diversity reports" breaking down the gender and racial balance of their workforces. This year, as the tech industry starts releasing their first progress reports, this situation is still grim and progress has been negligible. It’s clear the Valley remains a hard place to get or keep a job if you’re a woman, black or Hispanic. 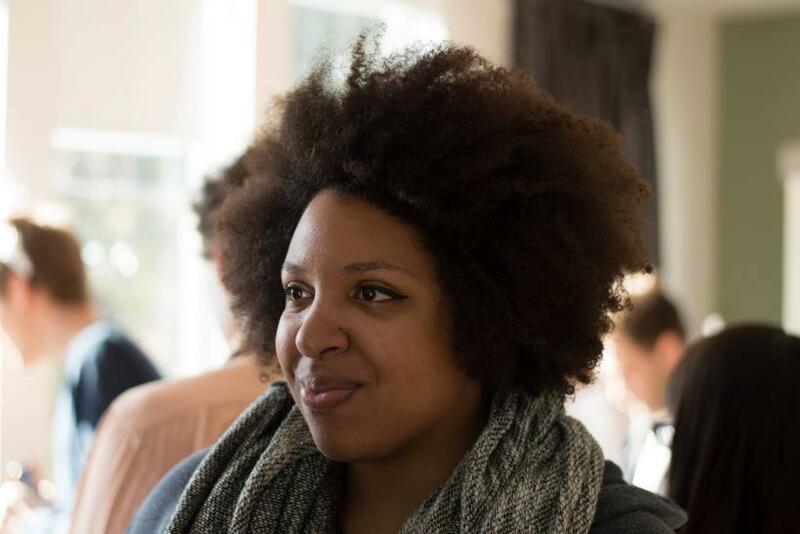 Coleman is now working as a developer advocate at Zendesk, a software development company, where she promotes the platform to third-party developers. She recently wrote about her experience at Dropbox in a Facebook post. Dropbox was a tough fit for Coleman, she admits. Frustratingly, she was frequently mistaken for the other African-American women at Dropbox by her coworkers, and she says peers did little to engage with her and learn about her interests. Around the time of the shooting of Michael Brown in Ferguson, Missouri, one co-worker told her, "Black people get shot and killed every day -- it's not that big of a deal." Coleman arrived at Dropbox in December 2013 after the company acquired Sold, a startup she’d been working at prior to the acquisition. Coleman, who has a bachelor’s degree in history from the University of Massachusetts Lowell, started at Dropbox in an administrative role but was given to understand she could grow into a new role on one of the teams she supported. During her time at Dropbox, Coleman taught herself how to code in Python and other programming languages through practice, with help from friends and through the learn-to-code club she started at the cloud-computing company. After receiving great reviews for her work, Coleman in late 2014 finally tried to jump into a bigger role on Dropbox’s user research and user experience design team, which is when she was told to focus on her administrative role or leave the company. “Diversity is a critical issue for us at Dropbox ... It’s sad for us to hear that a former employee feels otherwise, but we don’t feel that her personal account is an accurate reflection of Dropbox’s work environment and culture,” Dropbox said in a statement. Dropbox has not yet released diversity figures in 2015, but its numbers from 2014 told a dismal story: 34 percent female, 4 percent Hispanic and 1 percent black. As bad as those numbers are, they’re in line with the norm in Silicon Valley. Over the past year, Google saw its gender breakdown and its percentage of Hispanic and black employees remain unchanged. LinkedIn made small strides with women but had no gains for black and Hispanic employees. Yahoo released its figures Tuesday and only saw gains for Asians. Likewise, Facebook only managed small gains in hiring women and saw no increases in its percentage of black and Hispanic workers. Worse, the social network was embarrassed when a document was highlighted showing Facebook hired just six black men and one black woman out of its 1,231 U.S. hires in 2013. Other tech titans have yet to release their 2015 figures, but there’s a good chance they too have managed only small victories. Company culture is a major issue when it comes to diversity. So-called Brogrammer culture, lack of women, 70-hour workweeks that don’t allow for being a parent and unclear advancement paths for women push them out of tech in vast numbers, according to a Harvard Business Review study. Conversely, welcoming cultures create a cycle that makes it easier to attract and retain diverse talent -- just ask Etsy, which prioritized recruiting women in 2011 and is now 51 percent female. But making an environment more welcoming to women and minorities may also mean removing employees who treat them unfairly, said Kelly Shuster, the director for Women Who Code, Denver chapter. That means removing anyone who uses sexist, racist or otherwise discriminatory language and anyone who makes inappropriate physical contact. “If people are doing inappropriate things, it means getting rid of them. That's a really hard thing to swallow if you haven’t had to do that before,” Shuster said. Intel is an exception and has committed to giving women and minorities “full representation” -- meaning Intel will match the number of women and minorities who have the skills to take on jobs available at a tech firm -- at all levels of its workforce by 2020. “If policies are not there to hold people accountable to hire the best beyond your network then of course there's not going to be a big push in terms of increasing diversity numbers,” said Wayne Sutton, general partner at Buildup.vc, a pre-accelerator for startups based in San Francisco. Sutton and other diversity experts said the tech industry needs to put into place measures that will hold their leaders accountable for diverse hiring. Otherwise, there is little incentive for change. Some companies are starting to add these measures. Intel, for example, requires its leaders to regularly report progress and ties their pay to that progress. Facebook, meanwhile, is testing out a policy for some of its U.S. teams that requires them to consider at least one person from an underrepresented group before they make a hire. This policy is modeled after the National Football League’s Rooney Rule, named after Pittsburgh Steelers Owner Dan Rooney, which requires teams to interview minority candidates for their top jobs. Tech companies have to change the way they go about hiring, otherwise they’ll continue to yield the same results. Experts say companies can do this by expanding the number of schools they look at when recruiting beyond the Stanfords and MITs of the world. Considering candidates from diverse schools, like Rice University in Houston or historically black colleges like Howard University, is a way to do this. Some companies, like Dropbox and Google, are employing this technique. Companies are also encouraged to form relationships with diverse organizations like the Hispanic IT Executive Council, which are plugged into talent pools that Silicon Valley clearly is not. “It’s not going to help to just keep looking in the same place you’ve always looked because if you’re only looking in Silicon Valley, we know Silicon Valley is not a diverse place,” said Shellye Archambeau, CEO of MetricStream, a Silicon Valley-based governance, risk and compliance firm. Apple, for example, donated $50 million this year to two organizations that focus on getting more women and minorities into tech. But while increasing the talent pool is important, it’s not an excuse to ignore the talent that already exists, several diversity experts said. Silicon Valley famously hires fewer tech women and minorities than are available around the country and in other industries. For example, Jefferson County, Alabama, and East Baton Rouge Parish, Louisiana, each employ more than 2,250 black tech workers -- more than twice the 1,000 African Americans tech workers who reside in San Francisco, according to U.S. Department of Labor statistics. Meanwhile, the medical, government, professional services, retail, entertainment, financial and architecture and engineering industries all employ a higher percentage women as software engineers than the tech industry, according to LinkedIn. Additionally, the demographic and gender breakdown for many companies’ non-tech roles is not much better than their tech figures. African-Americans, for example, account for just 4 percent of Google’s non-tech positions and 3 percent of Facebook’s. “A leaky talent pipeline doesn't explain the absence of black people in non-technical roles,” said Arisha Hatch, managing director of campaigns at ColorOfChange.org, an online civil rights group.